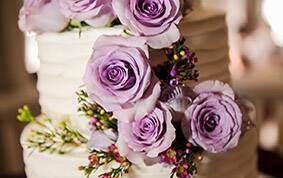 On this week's Wedding Cake Wednesday we're featuring a down-to-earth, lavender beauty. 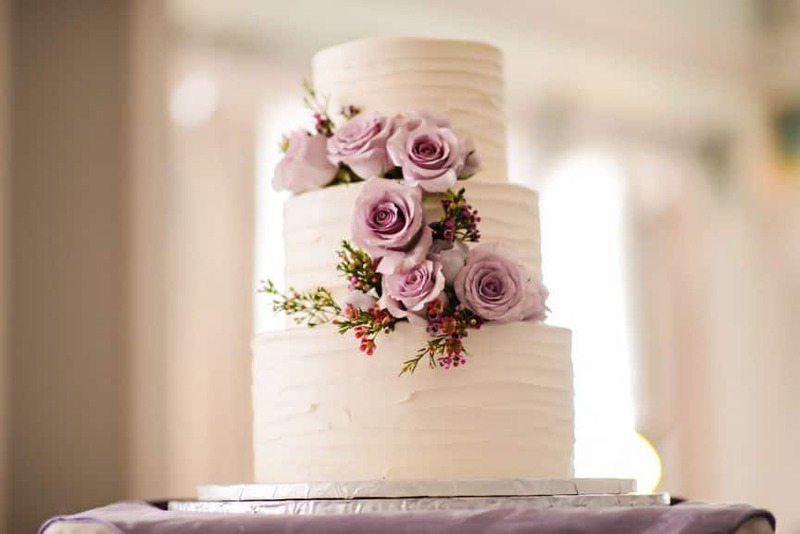 The fresh roses are a perfect pairing that immediately grab your attention while the textured buttercream frosting keeps the dessert looking rustic. 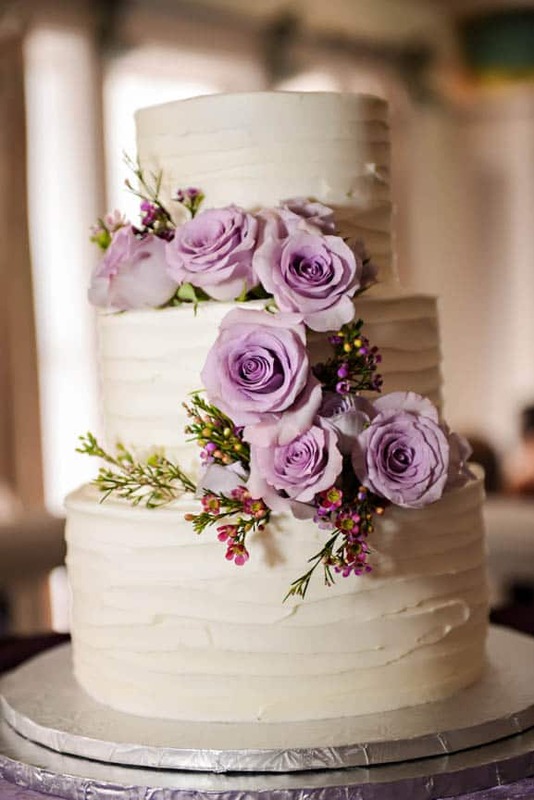 The simple design is elegant entirely by itself, so I love that the couple opted to forgo a cake topper and let the cake be the main focal point. Looking for an extra slice of inspiration? 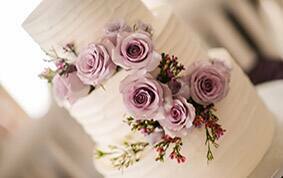 Be sure to visit our dream boards for even more ideas and to start planning your own big day.